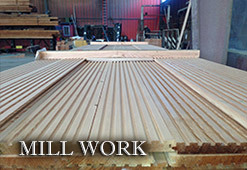 Proudly providing commercial lumber products and services to the Bay Area for over half a century. On any day, you can see Channel Lumber's distinctive yellow trucks, from Santa Rosa to Santa Cruz, Stockton to San Francisco. We have the largest lumber delivery fleet in the Bay Area. Channel Lumber offers an extensive inventory, product versatility, prompt delivery, and superior service that you need to make your projects successful. 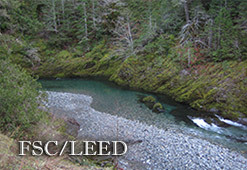 Channel Lumber has committed to serving the process of Green Building by investing in perhaps the largest inventory of Certified Forest Stewardship Council® (FSC®) wood products in the United States. 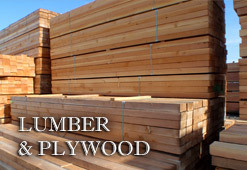 Our 14 acre lumber yard fully located in Richmond, CA is stocked with timbers, dimensional lumber, plywood, treated lumber and plywood, crane mats, crating materials, hardware, and much more. If we don't stock what you need, we will make it! We are committed to giving you the quality and service that you deserve.